Pain Management edited by Richard S. Weiner, Ph.D. 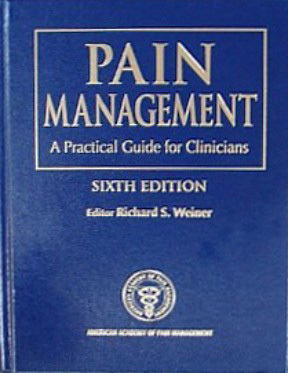 The official textbook of the American Academy of Pain Management edited by Dr. Richard S. Weiner. With two chapters by Daniel L. Kirsch, Ph.D., D.A.A.P.M., F.A.I.S. Chapter 60 (p. 749), Electromedicine: The Other Side of Physiology and Chapter 61, A Practical Protocol for Electromedical Treatment of Pain (p. 759). A must have for anyone seriously interested in the field of therapeutic electromedicine.